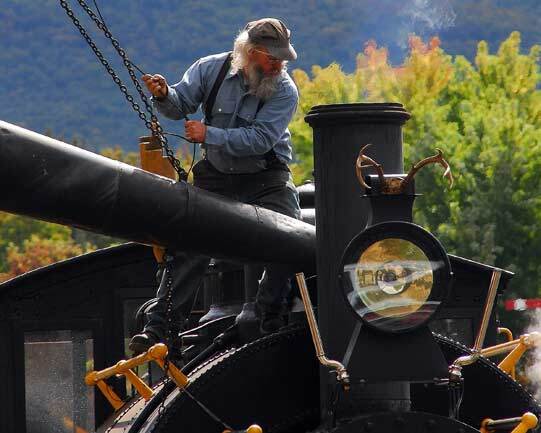 Take a steam-powered journey through history, but beware of The Wolfman! 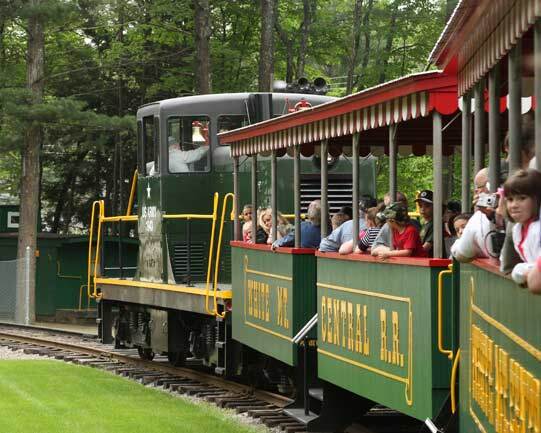 We operate our Climax Steam Locomotive several times daily during July and August. During the Spring and Fall seasons we generally operate the 1943 GE diesel Locomotive. Motive power is subject to change without notice. One of the favorite parts of the train ride for many passengers is coming face to face with the Wolfman. This longtime resident of these woods, the rabble rousin' Wolfman will amuse you with his antics, all in an attempt to keep curious visitors away from his secret mining operation of the precious mineral: Unobtainium. He never tires of using his many tricks to keep you off his land. Don't worry kids, Wolfman will not try to cross the bridge because he is too afraid of heights. He will not cross underneath the bridge because he is more afraid of water! In fact, Wolfman is so afraid of water that he hasn't taken a bath... IN YEARS! You will be returned safely to the beautiful Victorian train station where you can continue your day. Note to parents: Please use your discretion for your preschool children. Click here for train schedule. 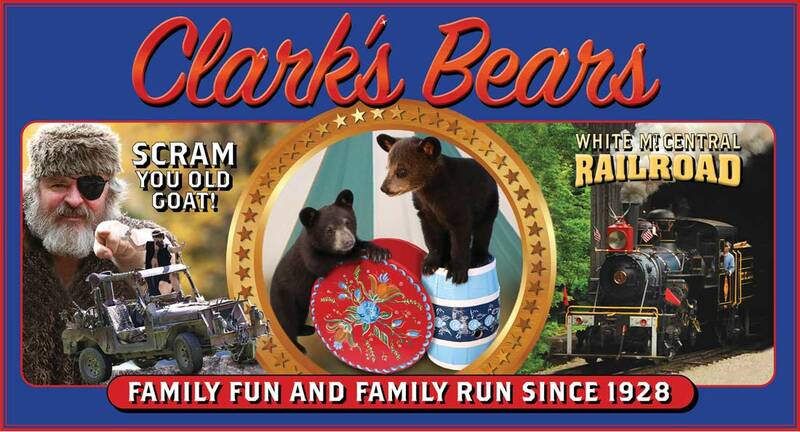 In the early 50's, fascinated by steam-power, the Clark brothers began to rescue steam locomotives from the cutting torch creating "green pastures for iron horses" at the Trading Post. 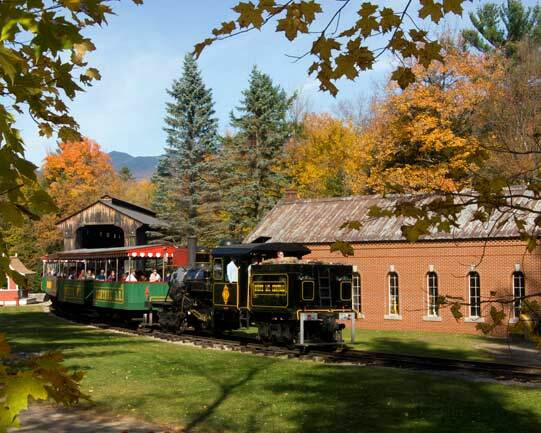 Conceived with hard work and an impressive collection of locomotives - including models by Climax, Heisler, Shay and Porter - the White Mountain Central Railroad was born. 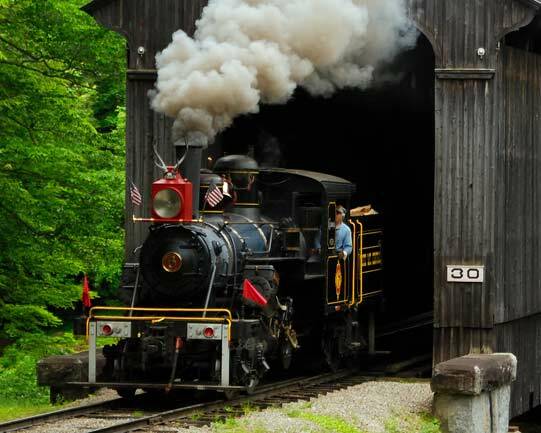 In 1963, with his two teenage sons and a dedicated crew in tow, Edward M. Clark dismantled a 1904 Howe-Truss railroad covered bridge in East Montpelier, Vermont. The team then transported the structure and reassembled it to span the mighty Pemigewasset River adjacent to the Trading Post grounds. A monumental accomplishment, our bridge is the world's only standing example of a Howe-Truss bridge. 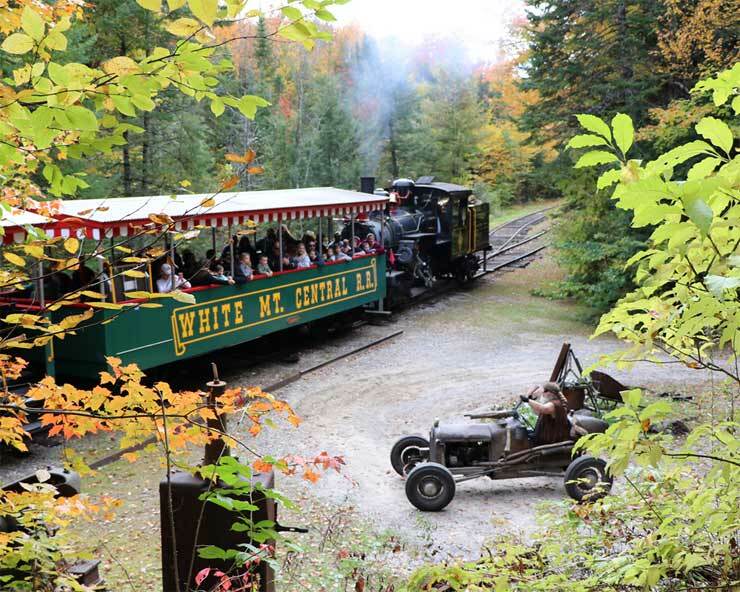 Today, after 60 years of "moving people by steam," the White Mountain Central Railroad primarily relies on the Climax locomotive, one of only three left in operation worldwide. 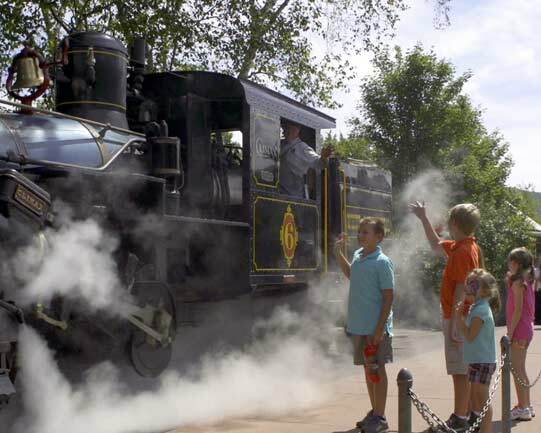 Learn more about locomotive lore and railroad heritage in the Florence Murray Museum. 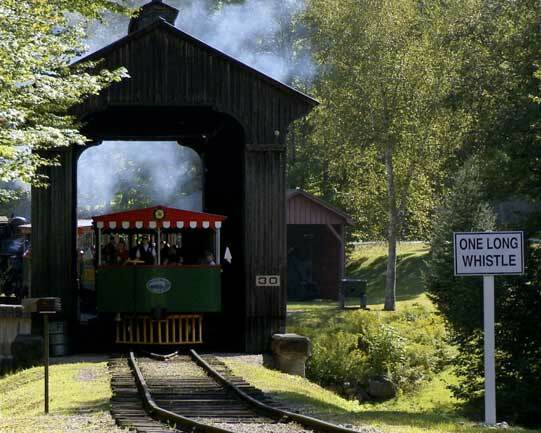 or visit the White Mountain Central Railroad website at whitemountaincentralrr.com for more details about our railroad equipment.